Bengali film actor Soumitra Chatterjee film acting career, professional life of Soumitra Chatterjee, filmography of soumitra chatterjee, awards achievements prized won by actor Soumitra Chatterjee, details about dadasaheb phalke padmabhusan award winner soumitra chatterjee. 77 years old Soumitra Chatterjee has worked alongside with most of all stalwarts of film industry & best directors of Indian Cinema in his over 53 years of professional career. Legendary Bengali film star actor Soumitra Chatterjee (aka Soumitra Chattopadhyay) has portrayed a versatile range of characters in films and serves Indian Film Industry over 53 years. Soumitra Chatterjee made his film debut in 1959 with Satyajit Ray's Bengali movie "Apur Sansar". Soumitra Chatterjee got his first movie under the direction of Academy Award winning director Satyajit Ray and acted in quite a few Bengali movies of Satyajit Ray named Apur Sansar, Devi, Teen Kanya etc. During the film career actor Soumitra Chatterjee has worked with the best filmmakers of India Cinema like Satyajit Ray, Mrinal Sen, Tapan Singa, Tarun Majumdar, Aparna Sen, Goutam Ghosh, Rituparno Ghosh etc. 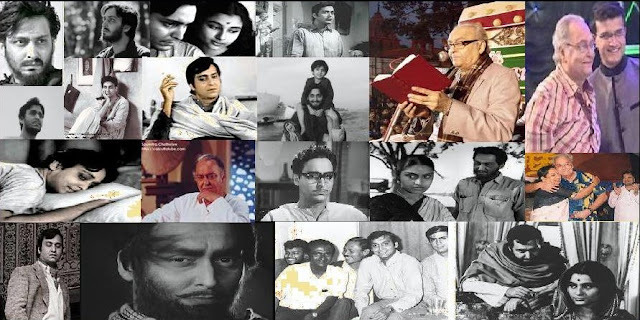 Names of few superhit Bengali cinemas of Soumitra Chatterjee are "Jhinder Bandi", "Koni", "Kaapurush", "Akash Kusum", "Aranyer Din Ratri", "Joy Baba Felunath", "Teen Bhubaner Pare", "Ganashatru", "Sakah Prashakha", "Apur Sansar", "Devi", "Teen Kanya, Abhijan", "Ashani Sanket", "Charulata", "Ghare Baire", and “Sonar Kella". • Soumitra Chatterjee has received National Award in 2008. • Soumitra Chatterjee has received the Officier des Arts et Metiers (highest award for arts) from French Government. • Soumitra Chatterjee received Lifetime Achievement Award from Italy. • Soumitra Chatterjee had turned down the Padmashri Award in 1970s, but accepted the Padmabhushan Award in 2004. Soumitra Chatterjee, Legendary Bengali Iconic Actor, received Dadasaheb Phalke Award 2011 on 23rd March 2012 for his lifetime contribution to Film Industry. Government had announced four actor names as the front-runners for Dadasaheb Phalke Award 2011 and they were Pran, Manoj Kumar, Vyjayanthimala and Soumitra Chatterjee. Finally, the coveted honour of Dada Saheb Phalke went to Bengali veteran actor Soumitra Chatterjee. Apart from films, Actor Soumitra Chatterjee is also famous for his passion for the theatre stage where he has both acted & directed lots of plays. Soumitra Chatterjee is also one of the all-time best elocutionists of West Bengal.